A full day of fun for our more social overnight guests! Your pup will spend the day with friends in our Doggie Daycare room before being brought back to his/her overnight accommodation tuckered out and ready for dinner! All Lodge & Play guests are required to pass a Daycare Evaluation prior to entry into Lodge & Play. 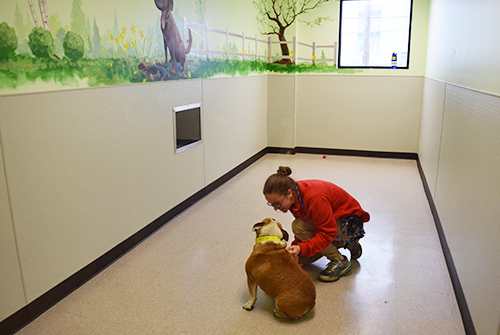 *Daycare evaluations may be scheduled during your pet’s stay if availability is open. 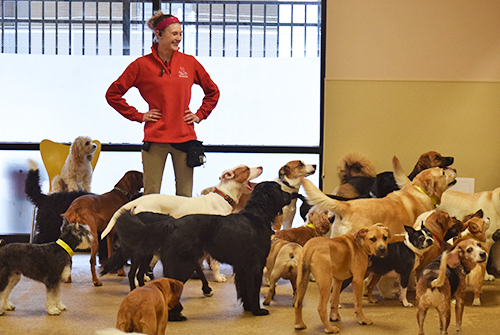 15 minutes of personalized one-on-one time with one of Red Dog’s Pet Care Specialists! 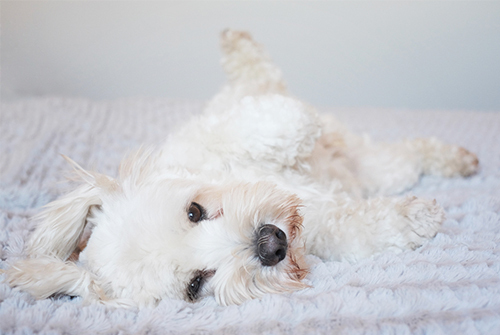 Does your dog prefer to run and play or have cuddle time with lots of belly rubs? Either way they will be sure to spend their time doing what they love most. 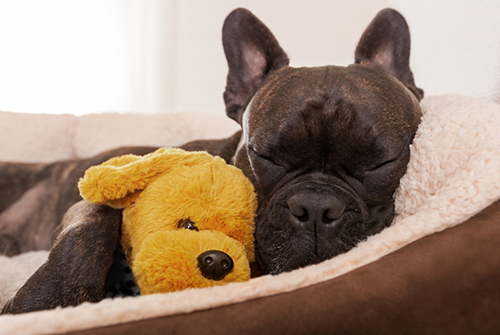 Your pup will unwind with one-on-one cuddle time before going to bed! 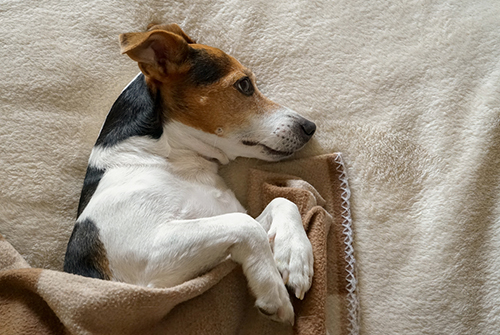 Right before lights out, one of our Pet Care Specialists will read your dog a bed time story, setup his/her bed and give some plenty of extra love. Our premium bedding upgrade includes the added comfort of deluxe fleece bedding in addition to our standard raised bed. 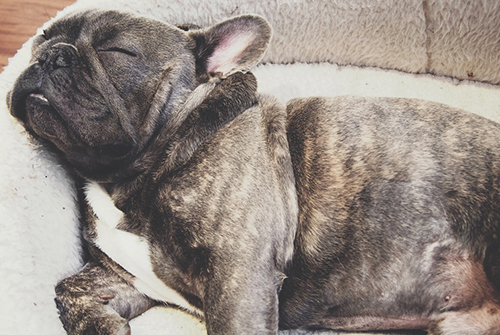 This extra cozy bedding will surely remind your pup of home! Our Pet Care Specialists will drop off a special bed time treat for your dog, along with some extra snuggle time right before bed! Perfect for dogs that need an extra good night kiss before heading to dreamland. Add an extra outdoor potty break for your pup! All of Red Dog’s overnight guests receive three potty breaks outside each day to stretch their legs and relieve themselves! Each extra break is approximately 10-15 minutes (weather permitting) and is perfect for those dogs who prefer to be outside more often. 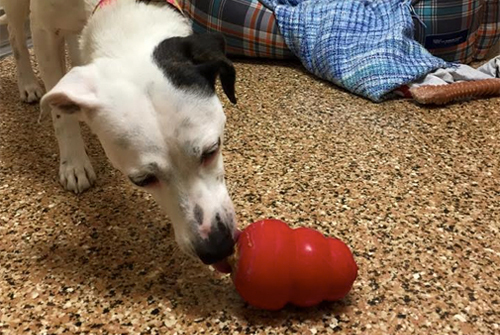 Frozen Peanut Butter Kong stuffed to the brim with tasty biscuits given midday or before bed! 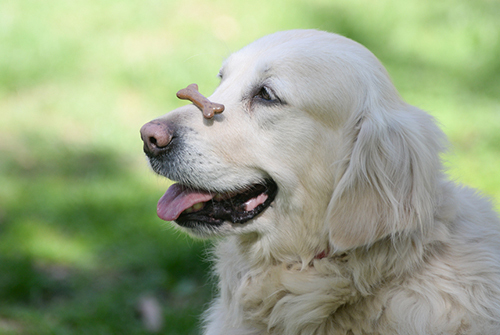 This treat will be sure to keep your pup busy. Even though Red Dog always offers clean and refreshing water, this all-natural spring water option comes directly from the bottle! 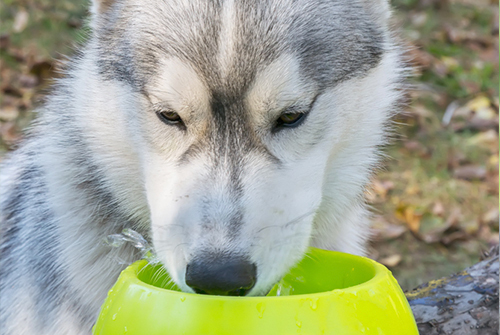 Some dogs are sensitive to certain water changes and a purified bottled water is the perfect option. A delicious mid-day snack for your pup, made up of delicious Peanut Butter between two crunchy dog biscuits, always delivered right to your dog’s room! Daycare dogs love this mid-day snack too! 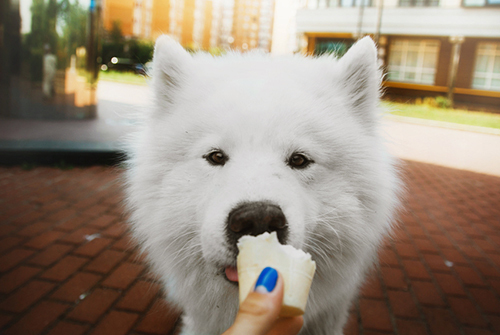 An all-natural pet friendly ice cream or frozen yogurt is the perfect treat to make your dog smile during their stay at Red Dog. In addition to the three potty breaks each day that your dog will receive while they are staying over with us, your dog can receive two extra outdoor potty breaks! These added potty breaks are perfect for puppies who are house training or senior dogs who need to relieve themselves more often. Your pup will enjoy an afternoon Woofie Pie treat made up of two carob biscuits with a creamy yogurt center hand-baked from Boston Barkery. 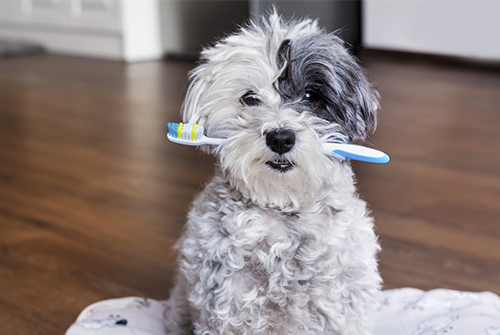 Keep your dog’s nightly tooth brushing routine on track! 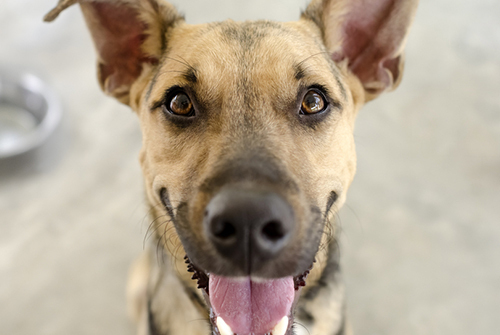 Our Pet Care Specialists will brush your pup’s teeth and even give an added dental treat right before bed! Keep the tangles out of your long-haired dog’s coat while they are staying over with us. Session includes 10 minutes of night-time brushing and plenty of belly rubs. *Please note this option does not replace a grooming service. 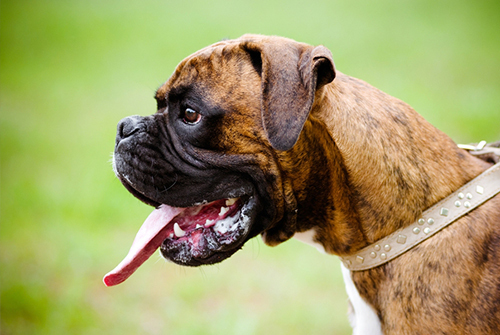 Does your dog love to play fetch? Well, then this is the activity for them! 15 minutes of playing outside with one of Red Dog’s Pet Care Specialists. 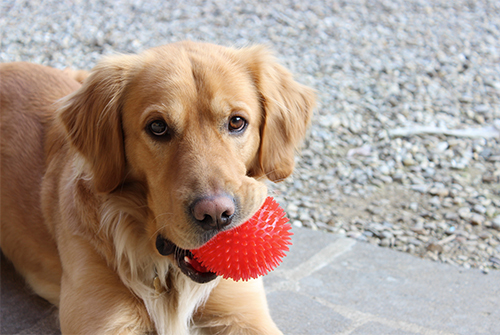 Your dog will surely have a ball! For dog’s who love the lazy life. For the younger pups who need to keep busy, but may not be quite ready for daycare! 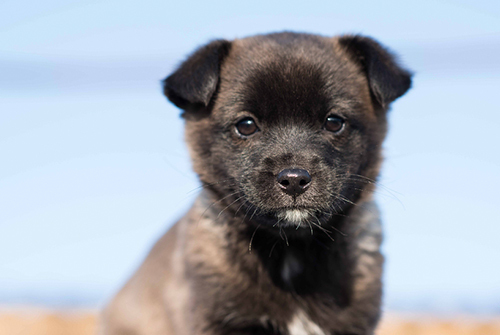 This ultimate package will be sure to make your pup feel right at home! Personal Play, Yappy Time, Quick Relief (two extra potty breaks), Frozen Kong w/ Peanut Butter, Premium Bedding Upgrade, Purified Water and one photo sent to your email for each day the package is purchased. We love when the whole family can stay with us at Red Dog! To make their stay as fun and enjoyable as possible, we offer 35% off all A La Carte Packages for the 2nd & 3rd pet guests in the same household.